A rich, hearty mushroom stew flavored with walnuts, red wine, and fresh thyme leaves. Served over light, fluffy cauliflower mashed potatoes for a warm, comforting dinner that's ready in just over 30 minutes. Pair it with the beautifully complex and nuanced 2016 Agenda, 91 points and “Editor’s Choice” designation from Wine Enthusiast Magazine, May 2019. 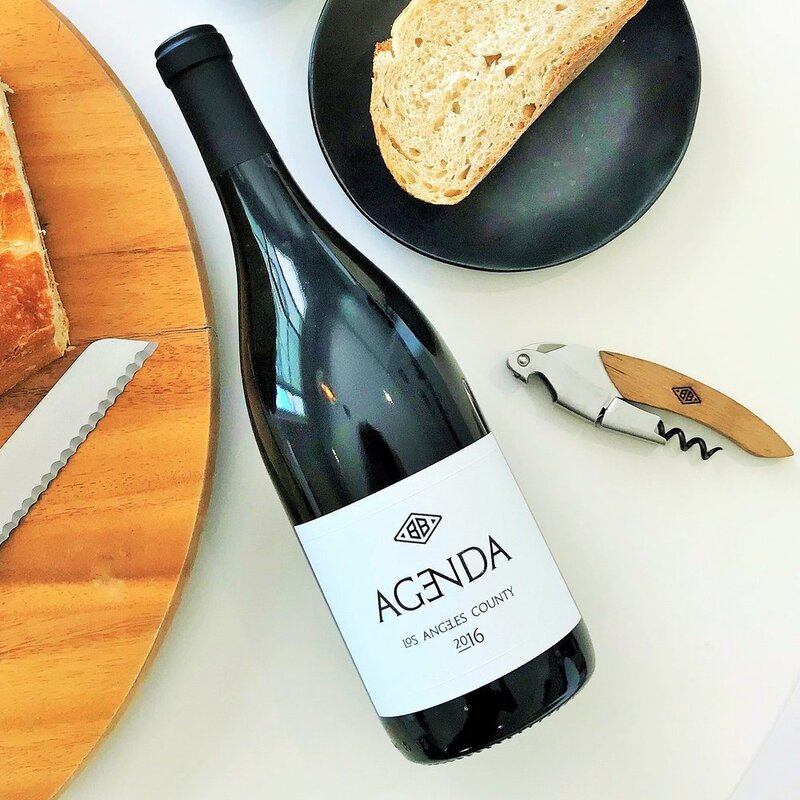 Enjoy with Byron Blatty Wines’ 2016 Agenda red blend! We are proud to share Wine Enthusiast Magazine’s review of the 2016 Agenda, which was scored 91 points and given the “Editor’s Choice” designation. The acknowledgement is more motivation for us and our mission to produce world class wines from Los Angeles grown grapes. The 2016 Agenda is a blend of 85% Syrah & 15% Tannat. The Syrah comes from a hillside vineyard in Mint Canyon, within LA’s Sierra Pelona AVA. With a south facing slope, the vineyard receives ample sun all season long and benefits from cooling breezes that come through the canyon in the evenings. The Tannat comes from another hillside vineyard—Bella Collina in the Adelaida District of Paso Robles—and is a perfect complement to the LA Syrah. All of the fruit was hand-picked and fermented in open-top bins, with punchdowns performed daily. After aging on the lees for 6 months, it was racked and settled back into French oak barrels (60% new) where it stayed for a total of 22 months. Ripe red currants greet the nose before giving way to fresh plums and sweet tobacco, interwoven with earth, leather and boxwood. A rush of fresh red berries, laced with gravel and cocoa dominate the palate, while brilliant acidity carries red fruits through the spiced finish. 118 cases produced. All of our wines are made from grapes grown in family-owned vineyards that are responsibly farmed, using organic and sustainable methods. No animal products are used in the production of our wines.